This is just another of Satan's New Age religions teaching that there are many paths to God. But the Word of God teaches that there is ONLY one way, and that is through Jesus Christ, "Jesus saith unto him, I am the way, the truth, and the life: no man cometh unto the Father, but by me" -John 14:6. As you will see in this article, Sai Baba is just another Satanic deception designed by the Devil to kill, steal and destroy your life (John 10:10). "Chandbhai, the headman of a village called Dhoopkhede (in Aurangabad, India), once lost his horse and was looking for it. Suddenly he heard a voice say "You look tired. Come here and rest a while". He turned around and saw a young Fakir (Baba). The fakir smiled at him and said "What are you looking for in this jungle, Chandbhai". This surprised Chandbhai and he wondered how the fakir knew his name. Note: "Fakir" is a Muslim or Hindu mendicant monk who is regarded as a holy man. Slowly, he said "I have lost my horse. I have looked for it everywhere, but cannot seem to find it". The fakir told him to look behind a clump of trees. Chandbhai was pleasantly surprised to find his horse grazing peacefully behind those trees. He thanked the fakir and asked his name. The fakir said "some people call me Sai Baba." After the wedding, Sai Baba stayed on at Shirdi. At first he lived under a neem tree and begged for food whenever he needed it. He then went to Khandoba's temple, intending to stay there, but the temple priest met him at the entrance and told him to go to the mosque. That is how Baba, started staying at the Mosque which was later called Dwarkamayi. Booty's stone building came to be known as Samadhi Mandir. Shri Sai Baba was buried here and a beautiful shrine was built over it. To this day, people flock to Shirdi to pay homage to Shri Sai Baba. " He who cometh to My Samadhi, his sorrow and suffering shall cease. Show unto Me he who sought refuge and been turned away. Knock, and the door shall open. Ask and ye shall be granted. Originally written in Marathi by Shri Mohaniraj Pandit and later translated into English. Source: Publications of the Shirdi Sai Baba Sansthan. The 11 promises made by Sai Baba above are all lies. Only God Himself can answer prayers. Only God is worthy of worship. Only God can remedy sorrow and suffering. Sai Baba CANNOT be God because he is NOT Jesus Christ, and Jesus is Almighty God! Please don't be misled friend, Sai Baba is another Satanic scam designed by the Devil to keep lost sinners away from the Truth of God's Word. You need the Truth, but Sai Baba speaks great boastful lies. Sai Baba said in the paragraph above, "God is one, but called by different names. He said follow your own religion and seek the truth." Follow your own religion and seek the truth? Is this what the Word of God teaches...follow your own religion? On the contrary, we read in Galatians 1:8, "But though we, or an angel from heaven, preach any other gospel unto you than that which we have preached unto you, LET HIM BE ACCURSED." The Apostle Paul outlines the gospel (good news) of Jesus Christ for us in 1st Corinthians 15:1-4, "Moreover, brethren, I declare unto you THE GOSPEL which I preached unto you, which also ye have received, and wherein ye stand; BY WHICH YE ARE SAVED, if ye keep in memory what I preached unto you, unless ye have believed in vain. For I delivered unto you first of all that which I also received, how that CHRIST DIED for our sins according to the scriptures; And that HE (Christ) WAS BURIED, and that HE ROSE AGAIN the third day according to the scriptures." The gospel of the Word of God teaches that Jesus Christ, Who is Almighty God, died, was buried, and then rose again for our justification. Jesus paid a debt He did not owe, because we owed a debt we could not pay. Jesus shed His blood to pay for our sins. Thus, the ONLY way to Heaven is through Jesus Christ, because He is the only One Who died for your sins, and the only One Who could have died for your sins. Jesus was the sinless Lamb of God Who became as sin so that we, who are sinful, could be made the righteousness of God in Christ. 2nd Corinthians 5:21 reads, "For he hath made him to be sin for us, who knew no sin; that we might be made the righteousness of God in him." Galatians 1:8 declares that anyone who teaches or preaches a different gospel is CURSED! The New Age movement is CURSED of God because they teach that Jesus Christ is not the only way to Heaven. In fact, New Agers deny Christ's deity (that He is God). Oprah Winfrey has woefully promoted the New Age movement and has blatantly denied that Jesus is the only way to Heaven. Increasingly popular religions such as the Baha'i faith also teach that there are MANY paths to the light, to God. Tragically, even our President, George W. Bush, has bought into Satan's big lie. The tragic truth of the matter is that "the light" they are following is Satan, "And no marvel; for Satan himself is transformed into an angel of light." Satan is the light of the New Age Movement, and of all the occult groups. All of the various names for the different gods of New Age are simply smokescreens for the Devil, ole Lucifer the dragon himself, who appears "AS" (but isn't) the light. The True Light is Jesus Christ, "Then spake Jesus again unto them, saying, I am the light of the world: he that followeth me shall not walk in darkness, but shall have the light of life." Jesus is the Light, NOT Sai Baba. Shri Sai Baba is an imposter, a fake, a phony!!! You need to follow Jesus Christ, for He alone is the True Light. There is Only One God and ONLY One Way to God, through Jesus Christ! Look again at the preceding list of promises made by Sai Baba. Promise # 7 reads, "In whatever faith men worship Me, even so do I render to them." Worship? Are we supposed to worship anyone other than God? The Ten Commandments forbid mankind from worshipping ANYONE other than the God of the Bible (Exodus 20:1-5). We read in Isaiah 42:8, "I am the LORD: that is my name: and my glory will I not give to another, neither my praise to graven images." God is a jealous God and will NOT share the praises and glory that are rightfully His with anyone else. The erroneous belief that there are many different paths to the light is unbiblical. The Word of God plainly teaches that there is ONLY ONE GOD, "I am he: before me there was no God formed, neither shall there be after me" -Isaiah 43:10. Deuteronomy 6:4 proclaims, "Hear, O Israel: The LORD our God is one LORD." New Age is a lie. The Word of God teaches that the Godhead came to this world incarnate, in the fleshly body of Jesus Christ (Colossians 2:9). Jesus Christ is Almighty God (John 1:1-3,14; John 10:33, 1st Timothy 3:16; Revelation 1:8). There is No other God than the God of the Bible. If you deny this, then you blatantly deny the Bible and the deity of Jesus Christ. You are antichrist (1st John 2:22). Blasphemy!!! Sai Baba claims to be able to give "everlasting contentment" and to "free any person." The Word of God proclaims that unless a man is BORN AGAIN, he CANNOT enter into the kingdom of Heaven, "Jesus answered and said unto him, Verily, verily, I say unto thee, Except a man be born again, he cannot see the kingdom of God." If you don't get born again by the Spirit of Christ, then you will go to Hell when you die. Sai Baba is NOT the God of the Bible. Sai Baba is a false god who fronts for Satan, just as Baphomet, the false god of Freemasonry. There are many false prophets and false gods who make all kinds of promises, but you must keep in mind that Satan is the father of all liars, "Ye are of your father the devil, and the lusts of your father ye will do. He was a murderer from the beginning, and abode not in the truth, because there is no truth in him. When he speaketh a lie, he speaketh of his own: for he is a liar, and the father of it" -John 8:44. What do you want to believe, Sai Baba's writings or the inspired Word of God? The Word of God has stood the test of time and has a remarkable history. In fact, the possibility of such a book being written by 40 different writers over 1,500 years, and yet all perfectly interconnecting is virtually impossible. God is the only answer my friend. Isaiah 44:17 reads, "...he maketh a god, even his graven image: he falleth down unto it, and worshippeth it, and prayeth unto it, and saith, Deliver me; for thou art my god." Whether a graven image or a false god, it is idolatry to WORSHIP anyone other than the God of the Bible. Sai Baba asks you to worship him, but did He love you enough to die upon the cross for your sins? No! Is Sai Baba able to save you? Let's see what the Bible says in Acts 4:10-12, "Be it known unto you all, and to all the people of Israel, that by the name of Jesus Christ of Nazareth, whom ye crucified, whom God raised from the dead, even by him doth this man stand here before you whole. This is the stone which was set at nought of you builders, which is become the head of the corner. NEITHER IS THERE SALVATION IN ANY OTHER." Clearly, the Word of God teaches that eternal salvation can ONLY be found in the Person of Jesus Christ. If you follow and worship Sai Baba, then you will one day burn in the fires of Hell for rejecting Jesus Christ as your personal Saviour. Please don't allow Satan to continue blinding you (2nd Corinthians 4:4). In all the writings and promises of Sai Baba, there is NO mention of sin. This is typical of the New Age crowd, they teach that there is no right or wrong, only energy (which is exactly what is taught in the evil Harry Potter series). This is also the mentality of Wiccan witches and many other godless groups. The Word of God teaches that all men and women are SINNERS (Romans 3:10,23). The Bible teaches that there is a penalty for that sin, which is death (Romans 6:23). The Bible also mentions a "second death" (Revelation 20:11-15). Anyone who's name is not found written in the Lamb's (Jesus') Book of Life will be cast into the lake of fire (Revelation 20:15). New Age religions such as Baha'i and Sai Baba don't address the issue of sin because it would make it more difficult to deceive people. Teaching people that they are sinners brings them much too close to the Truth for Satan's comfort. If we are sinners, then there must be a sacrifice for sin. Since Jesus died upon the cross for our sins and is the Saviour, Satan strives to blind people from their sinfulness. Satan loves when people follow New Age religions that blind them from their wickedness and need for a Saviour to atone for those sins. Jesus Christ shed His blood upon the cross to pay for our wicked sins. The entire matter of Biblical salvation concerns our sins and our need to have them forgiven or else face eternal death in Hell. Only Christ Jesus can save us because only He made atonement for our sins. New Age religions DON'T address this. Any wrong doing is NOT recognized as "sin," but rather as a weak area in one's life. The FACT that Sai Baba doesn't speak of sin, redemption, or forgiveness is reason enough in itself to reject him. Any legitimate religion MUST take into account the reality of sin. On their website, they promote their false god, Shri Shirdi Sai Baba, with the words "He has no beginning...He has no end...All beings arise from him, and into him they return." But what does the inspired Word of God teach? 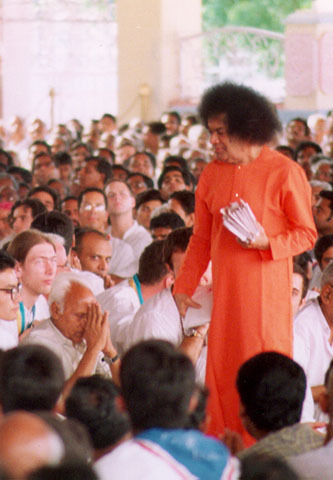 The Word of God teaches that God created ALL things, NOT Sai Baba! All beings did NOT arise from Sai Baba. It was Jesus Who created ALL things (John 1:1-3, 14; Colossians 1:14-16). Isaiah 45:18 proclaims, "For thus saith the LORD that created the heavens; God himself that formed the earth and made it; he hath established it, he created it not in vain, he formed it to be inhabited: I am the LORD; and there is none else." The Bible teaches that ONLY God created the universe, and Jesus Christ is God Almighty (John 1:1-3,14; John 10:33; Colossians 2:9; 1st Timothy 3:16; revelation 1:8). Sai Baba is an imposter!!! The religion of Sai Baba claims that it was Sai Baba who created humanity, but the Word of God teaches that it was Jesus Christ. 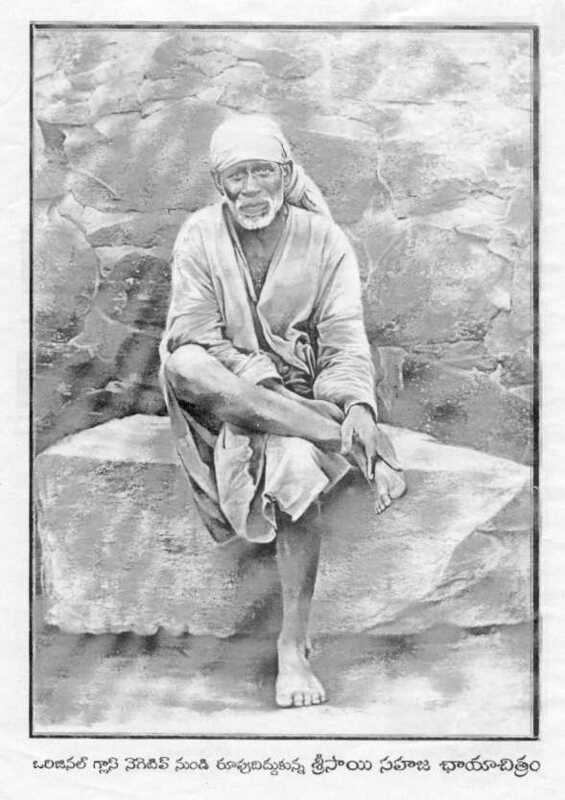 Chapter 4 speaks of the "Immaculate Conception of Sai Baba and His First Advent in Shirdi." Shirdi is located approximately 296 Kilometers from Mumbai (Bombay) City in India. The Word of God proclaims that ALL men have sinned and come of the glory of God (Romans 3:23). Just as there is NO such thing as the Immaculate Conception of Mary, neither is there an Immaculate Conception for Sai Baba or anyone else. Only Jesus Christ was born without a sin-nature, born of a virgin mother, with NO earthly father. It is sinful to teach that anyone could be born without a sin-nature other than the Son of God Himself. Jesus never sinned, not even once (2nd Corinthians 5:21; Hebrews 4:15). Mary was a sinner. Sai Baba was a sinner. The Apostles were sinners. Only Jesus was without sin, which is why He was acceptable as a sacrifice for our sins. Sai Baba is a fraud. This religion gets weirder by the moment. Followers of Sai Baba believe that the guy pictured below is Sai Baba incarnate. He claims to be Sai Baba and has millions of followers worldwide. There is absolutely nothing in the Bible which even HINTS to reincarnation. Wiccan witches believe in reincarnation, as do all New Age cults. "WHO IS SATHYA SAI BABA? Born on the 23rd of November 1926 in the little village of Puttaparthi in Andhra Pradesh, Baba’s life has been a consistent manifestation of HIS DIVINITY. His advent was heralded by mysterious omens in and around the village. The tambura (stringed instrument) and the madaala (a drum) in the family home would sometimes play sweetly on their own in the middle of the night. His father, Pedda Venkappa Raju, consulted a learned pandit about this phenomenon and was told that such music presaged an immensely auspicious event. Soon after He was born, a miracle took place. A cobra under the sheets gently rocked the baby and the baby smiled serenely as the air filled with the sweet scent of jasmine blossom. Astrologers tell us that the events that surrounded His birth correspond to the event that precede the advent of an incarnation of God (Avatar). 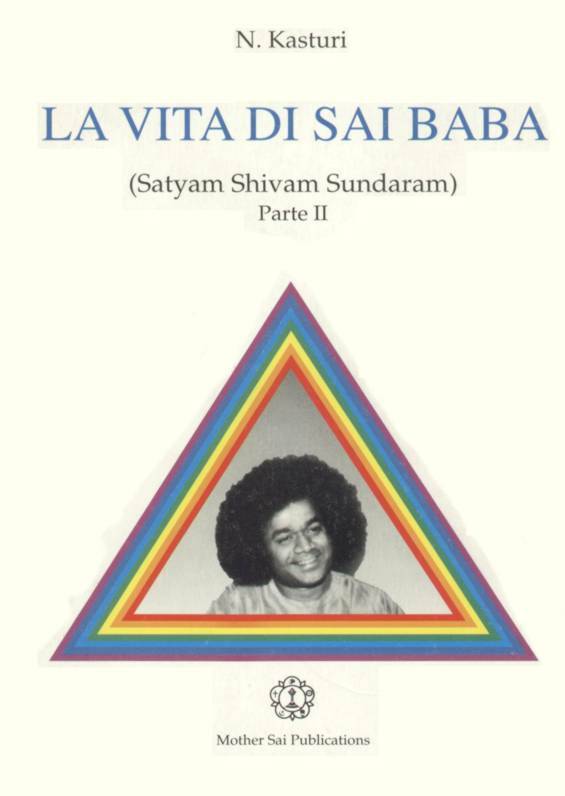 Even as a young child, Baba identified himself with all living beings. He refused to eat meat and hated the killing of animals and birds for food. He displayed infinite compassion and was generous in giving charity. He could not stand the suffering of others. By the age of eight He organised groups of His age to sing the glory of the Lord with Bhajans that he had composed Himself. Sathya composed songs about Krishna’s life and He and his group would enact the stories in song and dance. He danced well and played difficult parts with effortless ease. Sathya was a good and lovable boy. He attended school at Puttaparthi and the neighbouring village of Bukkapatnam where He would delight his friends with displays of His remarkable, miraculous powers, manifesting sweets and other gifts from empty bags or producing, apparently from nowhere, prasad for the Bhajan singers. Fearing that he was possessed by some evil spirit, His family tried to exorcise the spirit by various means involving bodily torture, all of which He suffered with serenity. During the course of these events He declared that He was Sai Baba - a reincarnation of Sai Baba of Shirdi - a tiny village that lies 1000 kms to the Northwest of Puttaparthi. On 20th October 1940, Baba announced that he did not belong to His family and that the illusion (Maya) that He had assumed had been discarded. He was going to go to His devotees who were calling Him to launch his divine mission. As His devotees started increasing a series of miracles emanated from him for the pleasure and well-being of His devotees. These included plucking a variety of fruits from a Tamarind tree near the Chitravathi River, curing devotees of incurable diseases and materialising objects for them as symbols of His Grace and Love. Miracles of this kind are continuing to this day, not only in India but also in many other parts of the world where people searching for God are finding in Him the object and fulfilment of their search. 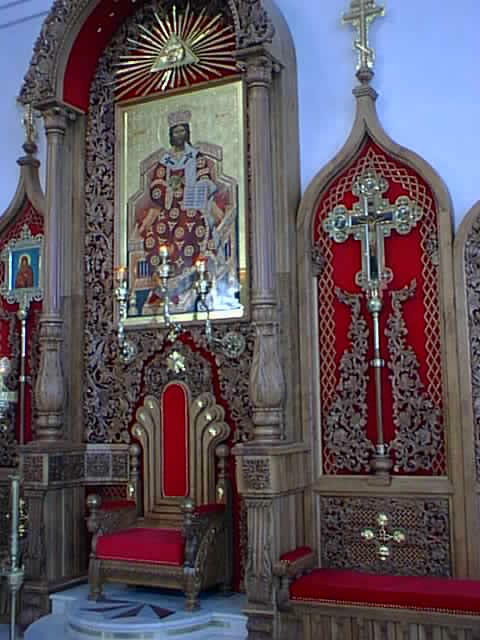 Notice the Illuminati all seeing eye at the top in this Russian Orthodox Church. 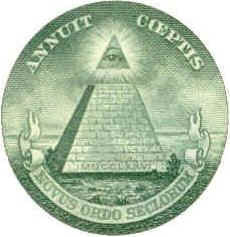 The Illiminous Masonic Pyramid is seen on every U.S. dollar. Satan's goal is to produce a one-world religion, where all paths lead to god (Satan). New Age will be the religion of the beast system, preparing people's minds to receive the beast. Christians, now more than ever, need to live in the Word of God: Read It, study It, memorize It, love It, obey It, and preach It. UNESCO also recently cancelled its co-sponsorship of a conference in Sai Baba's home town of Puttaparthi, India, saying it was "deeply concerned about widely-reported allegations of sexual abuse involving youth and children that have been leveled at the leader of the movement." Conny Larsson, a psychotherapist, and once a well-known actor and film star in his native Sweden, has a very different view of Sai Baba. He first met Sai Baba in 1978, built his own apartment near the guru's headquarters in Puttaparthi, and remained a devotee until last year. Mr. Larsson was the spiritual coordinator of the Sai Baba movement in Sweden, and says he brought tens of thousands of people to India to see Sai Baba by speaking at conferences, writing a book about Sai Baba, and speaking on radio. But Mr. St. Jean's story, and that of the son of a Quebec family of devotees, helped persuade seven coordinators of the Sai Baba movement in Quebec to hand in their resignations. Helen Robitaille said she and the other Montreal-area co-ordinators who resigned wonder why so many others have remained devotees. "But when you believe he is God, and you have invested yourself in a spiritual community, it involves too much to suddenly decide he is not God. Your whole spiritual world falls apart. It's too hard to bear," she said.